For those who like statistics. ... There are 25 to 27 rows per inch. And there are about 45 stitches per inch. 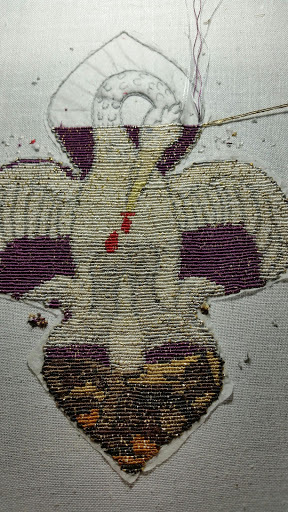 And, also, I've done a little over 100 hours of stitching.